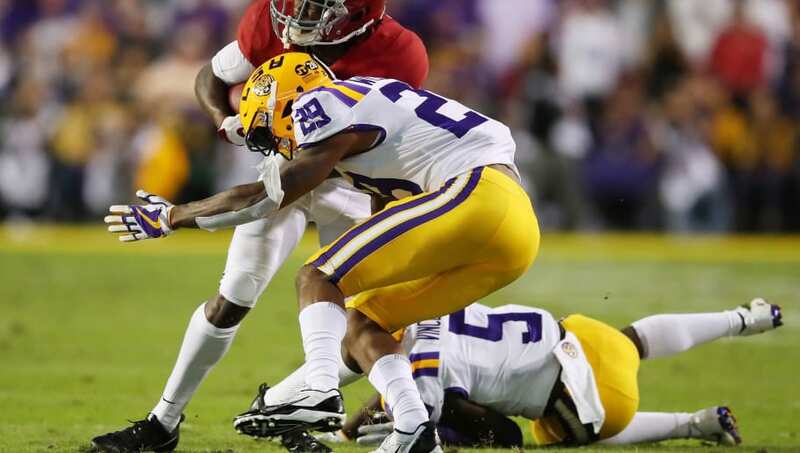 Former LSU cornerback ​Andraez "Greedy" Williams is taking the concept of betting on yourself and letting the tape speak for itself to a whole new level. Williams, who is considered the best cornerback prospect in the 2019 ​NFL Draft along with Washington's Byron Murphy, has eschewed the traditional draft prospect path of private workouts with various teams. In fact, Williams has had exactly ZERO visits and private workouts. After picking off six passes in 2017, Williams knocked down nine passes and had two interceptions in 2018. In addition, he's the only corner to put the clamps on Ole Miss stars AJ Brown and DK Metcalf. When you produce like he did, and run a 4.38 40-yard dash at 6-3 and 185 pounds, it will be almost impossible to slide outside of the first round. ​​When you're as dominant as he was in college, conducting additional workouts that could potentially damage your stock is senseless. Good on Greedy for taking charge.